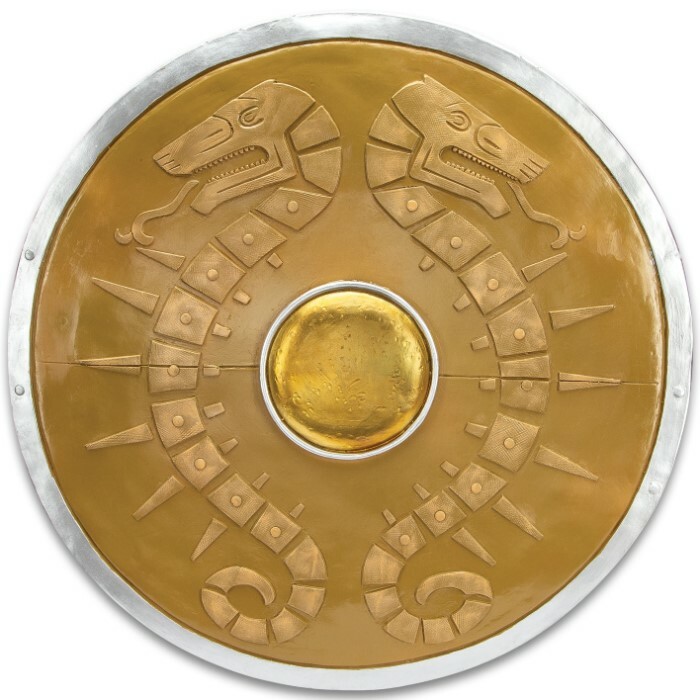 Carry this realistic battle-worn look Replica Gladiator Shield into cosplay battle with you or use it in a historical presentation or reenactment. 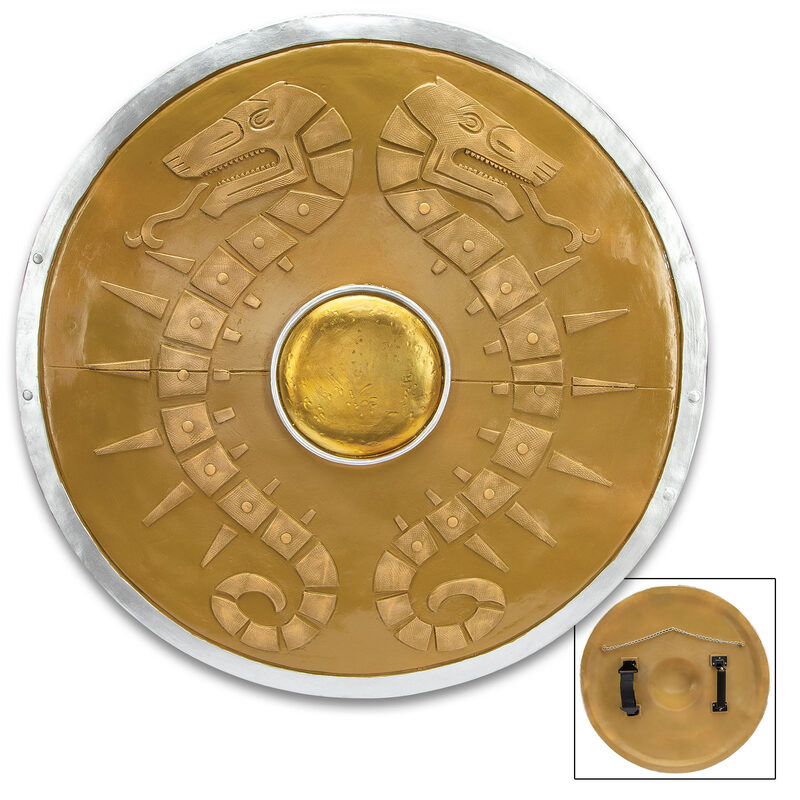 The reproduction is crafted of sturdy and durable resin with intricate, hand-painted details in gold, silver and dark yellow, which make it look battle scarred. 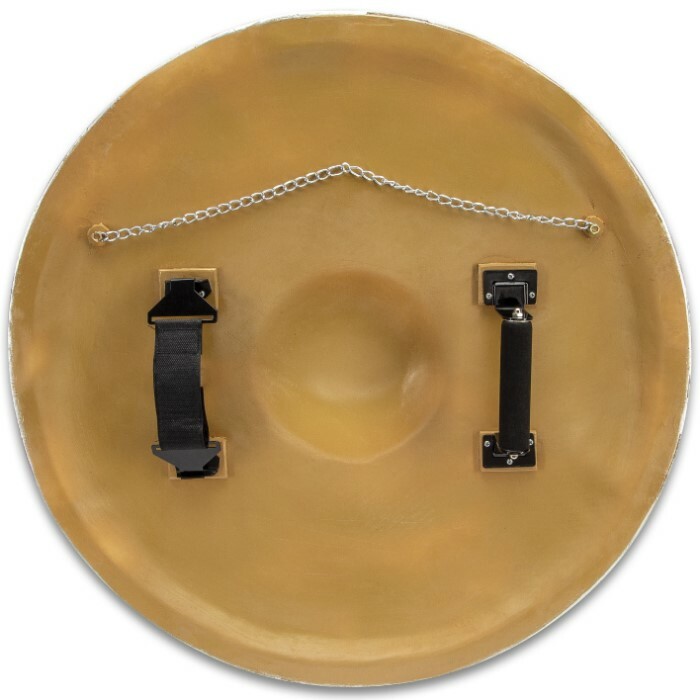 The hefty, 23” diameter shield has metal handles with padding so that it’s comfortable to carry and use and it also features a hanging chain for display.